Heavy duty trucks are like the new manhood measuring contest amongst the Big Three automakers. 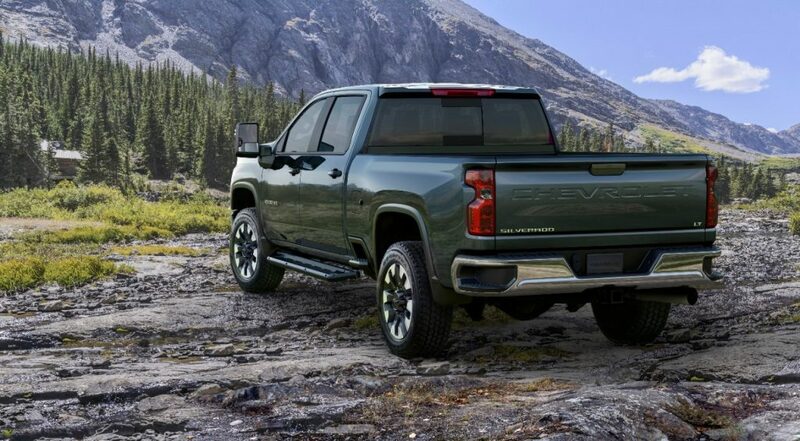 Today the measuring stick came out from Chevrolet with the reveal of the 2020 Silverado Heavy Duty and the news it can tow up to 35,500 pounds thanks to mechanical changes and new technology. With a maximum trailering rating of 35,500 pounds the Silverado successfully takes away the trailering crown from the recently-revealed 2019 Ram Heavy Duty by a whooping 400 pounds. Ironically, the Silverado is besting the Ram with less torque. 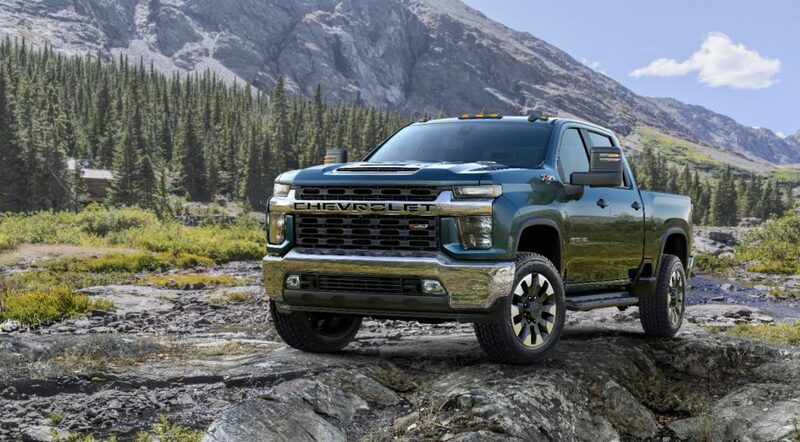 Silverado’s well-known Duramax 6.6-liter turbo-diesel remains with carryover statistics, meaning 445 horsepower and 910 pound-feet of torque. What is new is the Allison 10-speed automatic transmission that is mated to the carryover diesel. Those not wanting to opt for the expensive diesel option will have a new gaser to choose from. Chevy is slotting in a new 6.6-liter V-8 with 401 horsepower and 464 pound-feet of torque that will be hooked up to a six-speed automatic transmission. This engine will be able to handle up to 16,000 pounds behind it and 7,600 pounds in the bed. Regardless of engine choice, all Silverado HD trucks come with larger front and rear axles, thicker ring gears and tougher prop shafts to handle the increased trailering and payload specifications. Much like the Silverado 1500, the Silverado HD lineup is seeing several new faces within the portfolio. 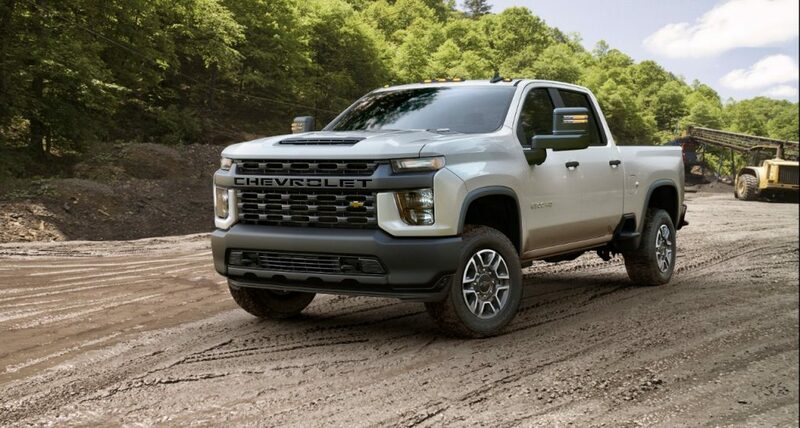 Work Truck trim comes with a black grille that features CHEVROLET across it, while the premium High Country truck offers a metallic grille with the iconic bowtie emblem. Basically, Chevy is offering a Silverado HD for every style. On the technology front, Chevrolet has added a new camera system with 15 different views to help owners with towing. 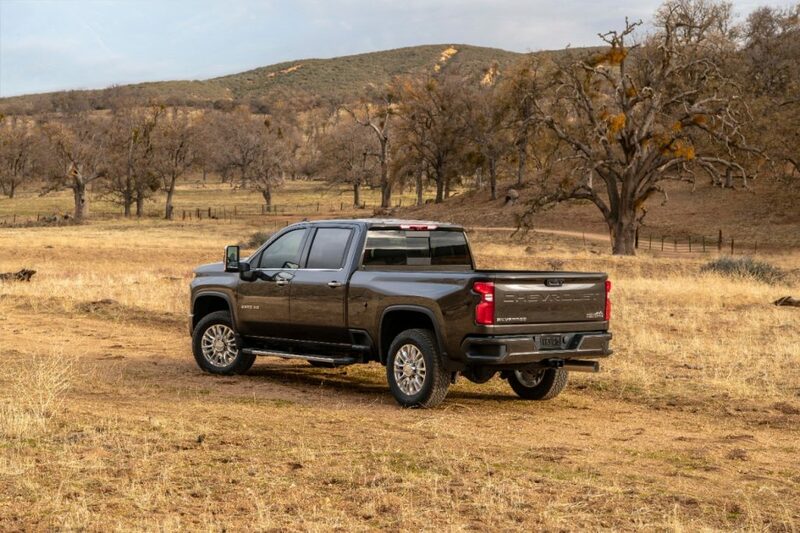 Owners will also appreciate 12 tie-down hooks and a 120-volt power outlet in the bed, along with the latest gadgets found on the 2019 Silverado 1500. 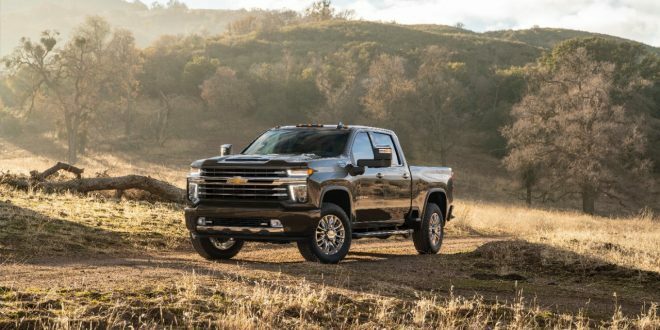 What isn’t clear just yet is how long the 2020 Silverado HD will remain the king of the heavy duty trucks. While Ford revealed the 2020 Super Duty earlier today as well, they have yet to disclose performance statistics on their revised big truck. That's some serious pulling power! And here some folks were worried. Should have bumped up the Duramax.